Keurig Green Mountain, Inc. and the Vermont Lake Monsters raised over $1,700 this summer at historic Centennial Field to support the New York-Penn League team’s Share The Experience Program. As part of the Lake Monsters’ nightly sports memorabilia auctions, Keurig Green Mountain, Inc. generously donated one Keurig brewing system for each night’s auction. All of the proceeds from the donation and auctioned brewing systems will go to benefit the Lake Monsters’ Share The Experience Program, which turns those funds into tickets for those in the community who cannot afford to come to a Lake Monsters game and enjoy the family fun environment. “We’re so pleased that we can support the Lake Monster’s Share The Experience Program to provide local nonprofits and youth groups access to the ballgames,” Sandy Yusen, Keurig’s Director of Community Relations/Corporate Communications said. The Canadians Front Office staff set the alarm clock to ‘early’ this past week to wake up and hit the streets of downtown Vancouver in support of the Vancouver Sun’s annual Raise-A-Reader program supporting Children’s literacy. “This is a program that helps countless families from all across Canada and it is one of the events that we very much enjoy supporting,” states Canadians Community Relations Director Jeff Holloway. “The Vancouver Sun is a publication that supports us on a number of levels well beyond covering the outcome of our games. Our working relationship, combined with the support this charity provides to families makes this a ‘can’t miss event’ for our organization”. Once a year, the Canadians join a number of other teams and supporters on the streets of Vancouver selling Vancouver Sun newspapers by donation to those heading into work. This program has raised millions in support of children’s literacy and once again, despite soggy conditions, was once again a great success. 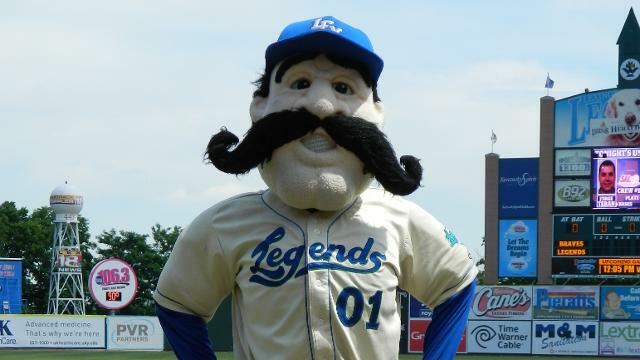 This time of year is sometimes called the “off-season” in minor league baseball, and though the Lexington Legends 2014 season is over, it’s anything but time off for the Legends’ Big L.
Wednesday, October 1 – 8 a.m. – 9 a.m. Anti-bullying rally at Madison Middle School, 101 Summit Street, Richmond. Wednesday, October 8 – 7:15 a.m. Big L will help Lexington’s Ashland Elementary School celebrate International Walk to School Day, on which students are encouraged to walk or bike to school as a means of promoting healthy habits, a cleaner environment and attention to safety. Wednesday, October 8 – 1-1:30 p.m. Big L and Pee Wee will appear at a Project Fit America event presented by Baptist Health Corbin at Lynn Camp Elementary School, 366 N. Ky. 830, Corbin. Thursday, October 9 – 5:30 – 6:30 p.m. Health Fair Party, Leestown Middle School, 2010 Leestown Road, Lexington. The Charlotte Business Journal named the Charlotte Knights among their inaugural Heavy Hitters Commercial Real Estate award winners earlier this week. The Knights were honored with the Economic Development Award for New & Existing Industry and the Top Hospitality/Entertainment Development Award. Members of the Charlotte Knights staff will accept the awards on Tuesday, Oct. 28 at The Ritz-Carlton, Charlotte. BB&T Ballpark, which opened its gates on Friday, April 11, 2014, was the most visited Minor League Baseball venue this season. Including the Triple-A National Championship Game, the Knights welcomed 696,601 fans during their inaugural season in Uptown Charlotte — leading all of Minor League Baseball in attendance. 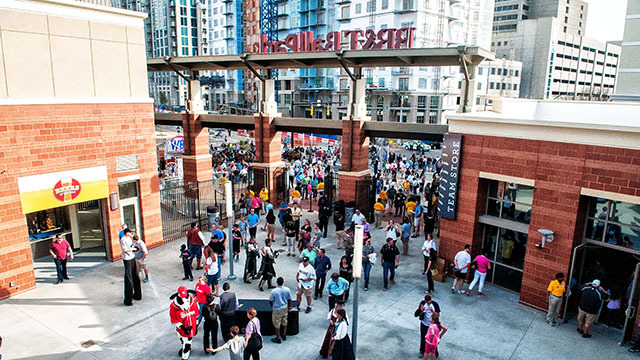 The ballpark also welcomes thousands of additional guests year-round with events such as Charlotte BeerFest, the Toshiba trade show, and the City of Charlotte’s Back To School Day. 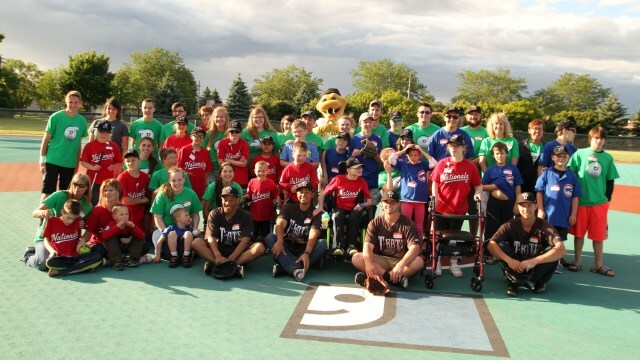 The Cedar Rapids Kernels partnered with three local companies during the 2014 season to raise over $35,000 for local charities through three different season-long promotions. For the fifth consecutive season, The Transamerica Foundation has sponsored K’s for Kids, where for every strikeout (or K) recorded by Kernels pitchers this season (home and away, plus playoff games) Transamerica donated $25 to Kids First Law Center for Childr en of Divorce. 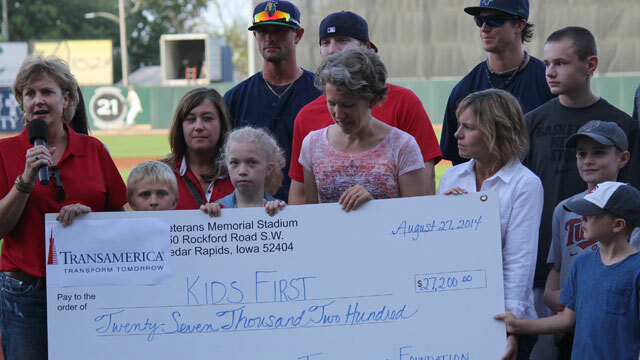 This season, Kernel pitchers struck out 1,188 batters for a grand total of $29,700 for Kids First. This is the fifth consecutive season that Transamerica has sponsored the K’s for Kids promotion and the highest pledge total to date. CarePro Health Services sponsored Plating for Plates, where for every run scored by the Kernels (home and away plus playoffs) CarePro donated $5 to Horizons Meals On Wheels, a program that delivers hot, nutritious meals to local homebound citizens. This season, the Kernels scored 643 runs and that means that CarePro Health Services donated $3,215 or 643 plates of food, to Meals on Wheels. This is the seventh consecutive season that CarePro Health Services has sponsored Plating for Plates. For the fourth consecutive season, Millhiser Smith Agency, Inc. and West Bend Insurance have partnered to make a donation to Junior Achievement for every home run the Kernels hit at Perfect Game Field this season. 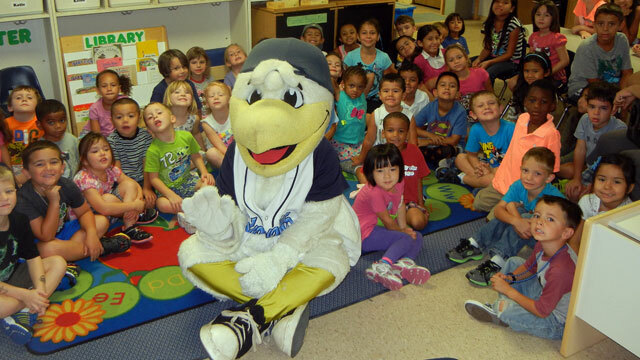 In 2014, the Kernels hit 42 home runs and Millhiser Smith and West Bend Insurance donated $2,500 to Junior Achievement. 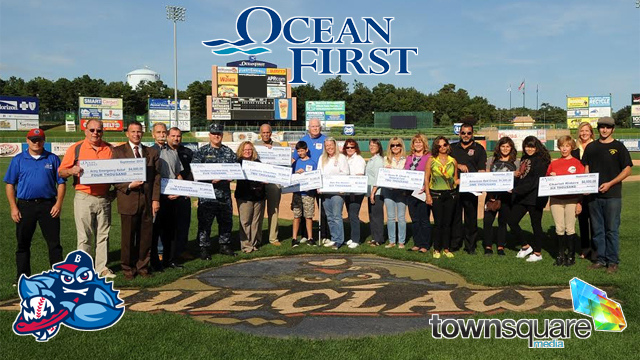 These three companies combined to raise $35,415 for local non-profits in our community this season. The Kernels would like to thank The Transamerica Foundation, CarePro Health Services, Millhiser Smith Agency, Inc. and West Bend Insurance for their continued support of these local charity programs. It is time for your school to help celebrate the 20th year of Fang’s Reading Club presented by Learning Rx during the 2014-2015 school year! 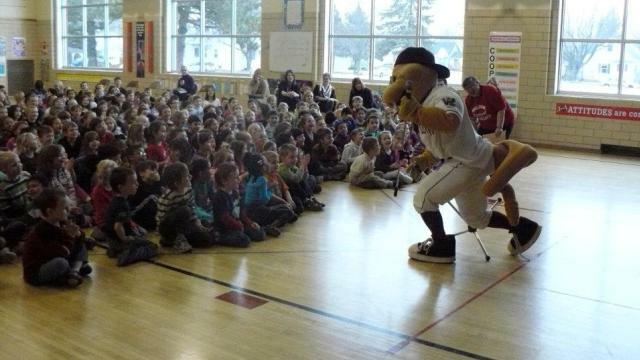 The mascot of the Wisconsin Timber Rattlers is ready to help kids from kindergarten through 5th grade get excited about reading! Fang’s Reading club started in 1996 and grew to 178 schools and over 44,000 students last year. There is plenty of room for more for this school year. Teachers and reading coordinators have until November 21 to get involved in this popular Timber Rattlers program. Personnel at the participating schools have the flexibility to design the program to meet the needs of their students. The Timber Rattlers, Learning Rx, Badger Sports Park, and the Wisconsin Milk Marketing Board will provide participating students with incentive prizes as they reach goals within the program. 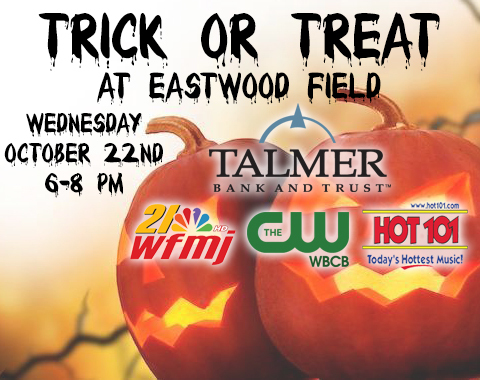 Students who meet all of their goals for the program are rewarded with a FREE ticket as part of their school’s Family Night at a Timber Rattlers game in 2015. Please head to Fang’s Reading Club page at the Timber Rattlers website for full details, including a sample time line, dates for Reading Club games, and how your school can schedule a visit from Fang. Contact Dayna Baitinger at dbaitinger@timberrattlers.com, (800) WI-TIMBER, or (920) 733-4152 if you have any questions or would like to register your class or school for the 2014-2015 school year. 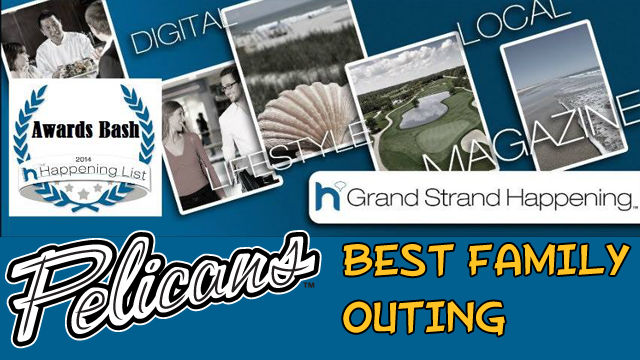 Grand Strand Happening announced the winners of their “Happening List,” and the Myrtle Beach Pelicans were named the “Best Family Outing” in the first ever incarnation of the award. The Happening List is a people’s choice award list of Grand Strand Happening readers’ favorite people, places, events, and businesses on the Grand Strand. The publication handed out over 100 different awards from “Best Day Spa,” to “Best Sushi,” and “Best Senior Living.” The Pelicans beat out fellow finalists Brookgreen Gardens and Ripley’s Aquarium for the Best Family Outing label. The Pelicans have provided top-flight family entertainment at TicketReturn.com Field at Pelicans Ballpark since the team’s inaugural season in 1999. Stadium Journey ranked the Pelicans in the Top 25 Stadium Experiences in all of sports in 2012 and 2013 as well as third in Minor League Baseball in 2013. The club has been nominee for the Golden Bobblehead Awards, which honors the best promotions in Minor League Baseball, in three seasons, and the Pelicans have three nominees for the 2014 season. The Rome Braves & Floyd County Police Department announce the Sixth Annual Celebrity Shootout Golf Tournament on Friday, November 14, 2014, at beautiful Barnsley Gardens Resort. The course, by Jim Fazio, is one of the most popular courses in the Southeast. The tournament is set in a scramble format with a shotgun start at 11am and will feature current and former Rome and Atlanta Braves greats. A Par three hole will be deemed the Celebrity Shootout hole where a team can invite a celebrity to take a shot. Competing teams have the opportunity to purchase an extra shot at the Par 3 hole for the celebrity to hit a shot off the tee. This annual golf tournament has donated a total of over $50,000 to local and National charities. 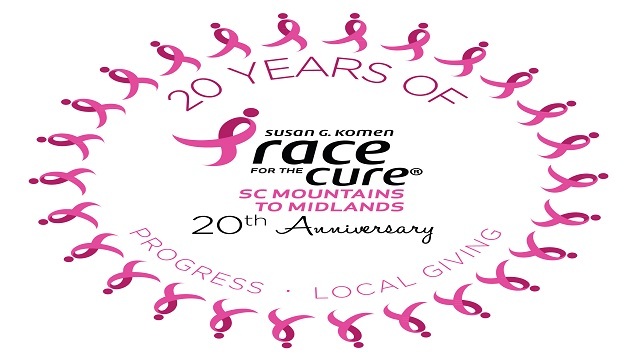 The proceeds from this year’s event will benefit Summit Quest Cancer Support Services. Since 2007, Summit Quest has been dedicated to providing support services and meeting the needs of those affected by cancer through various means: Circle at the Summit (a youth focused support group for children ages 6-17 who are facing cancer directly or who have a parent or loved one affected by the disease), Outdoor Adventure Trips, Youth Cycling Programs, and Team Tiger Flight. “All of us at Summit Quest Cancer Support Services are so very thankful to be the beneficiary of this year’s Celebrity Shootout Golf Tournament. The support from this amazing event will allow Summit Quest to continue meeting our mission of providing strength, hope, and service to children & families affected by cancer,” said Founder & Executive Director, William James. Team fees are $450 and include lunch, a goody bag, and raffle tickets. Individual golfers can register for $150 each. Hole sponsorships are available for local businesses and individuals to show their support as well. Click here to download a registration form now or call 706-378-5100 for more details. In ho nor of National Developmental Disability Awareness Month, the Colorado Springs Sky Sox continued their support of local charitable organizations last week. Eddy’s sister is currently a teacher of young children in a suburb of New York and found a way to make her disadvantage an advantage by being able to connect so well with children of younger ages. During the festival, Eddy enjoyed all the films, but particularly enjoyed “Pretty Girls” and “Aaron ‘Wheelz’ Fotheringham – The Story”. “Pretty Girls” is a short film by 14-year-old Jack Williams and is shot like all his films – with his phone. Jack was functionally nonverbal until he was nine years old when he started shooting videos which have helped him capture the world from his point of view. His films have gone on to win numerous of local and national awards. “Aaron ‘Wheelz’ Fotheringham – The Story” is about Aaron Fotheringham, a wheelchair motocross athlete from Las Vegas. He was born with Spina Bifida and has no usage of his legs. Spina Bifida is a birth defect of the spinal cord. Fotheringham has been doing extreme tricks the past several years and has traveled with the Nitro Circus led by world-famous motorsports performer Travis Pastrana. Included in the festival is a movement that has made national news in the past few years, which is to stop saying the R-word – ‘retard(ed).’ Since the word is offensive and derogatory to people with intellectual and/or developmental disabilities, the festival gave attendees an opportunity to pledge against the word. Jack and Aaron are just two of many examples of people with disabilities succeeding despite their “disadvantages,” and continue to inspire people all over the country and world. Registration for the Braves Miracle field of Rome has begun and will continue until September 26th through Rome-Floyd Parks & Recreation Authority. The registration fee is still $50 per player, however, there are scholarship opportunities for interested families. A pre-season practice will be October 4th at 12:30pm, 1:30pm, and 2:30pm. Uniforms will be distributed at this time. The season will open on Saturday October 11th with games at 12:30pm, 1:30pm, & 2:30pm. A break will take place on October 18th and play resumes October 25th. Starting October 25th, games will move back to 11am, 12pm, & 1pm for the remainder of the season through November 15th. For more information contact the Rome Braves at 706-378-5100 or the Rome-Floyd Parks and Recreation Authority. Minor League Baseball has announced today that the Vermont Lake Monsters‘ “Little Lake Monsters Community All Stars” program has won their Promotion of the Month for August/September. The program, presented by Northwestern Urgent Care, named nine winners based on their answers to three questions that focused on sportsmanship, living a healthy lifestyles and community. Each of the winners were rewarded with an experience of a lifetime, and saw what it was like to be a professional baseball player for a day. The promotion held a four-week entry period, and culminated with the event day on Friday, August 22nd at historic Centennial Field. During each month of the 2014 season, Minor League Baseball recognizes one promotion as the Promotion of the Month. 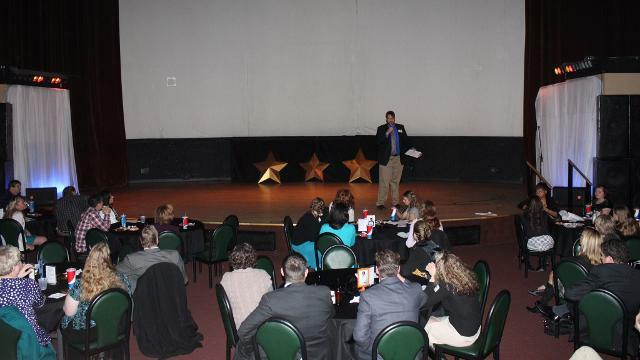 Organizations that are named Promotion of the Month winners are be automatically designated as a finalist for a Golden Bobblehead Award, presented at the Promotional Seminar in Oklahoma City. For more information on the Vermont Lake Monsters community efforts, please visit the Community tab at here on the website. 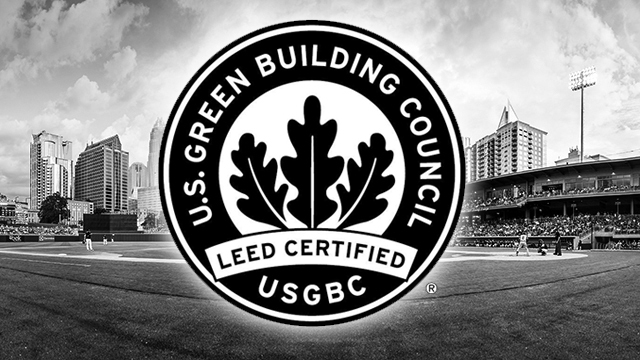 The Charlotte Knights announced that BB&T Ballpark has been awarded LEED ® (level of certification). LEED, or Leadership in Energy & Environmental Design, is a green building certification program that recognizes best-in-class building strategies and practices. The LEED rating system, developed by the U.S. Green Building Council (USGBC), is the foremost program for buildings, homes, and communities that are designed, constructed, maintained and operated for improved environmental and human health performance. More than 58,000 commercial and institutional projects are currently participating in LEED, comprising more than 10.7 billion square feet of construction space in all 50 states and more than 140 countries. BB&T Ballpark achieved LEED certification for implementing practical and measurable strategies and solutions aimed at achieving high performance in: sustainable site development, water savings, energy efficiency, materials selection and indoor environmental quality. The 2014 inaugural season at BB&T Ballpark was a record-breaking one for the Knights, who led all of Minor League Baseball in attendance with 687,715 fans in 71 games. With 31 sell-out crowds, and an average of 9,686 fans per game, BB&T Ballpark was the most visited ballpark in the country in just its first season. In anticipation of more interest in the Knights Uptown, Charlotte Knights ownership authorized the creation of a new 501 (c) (3) organization named Knights Charities. The first initiative involved a commemorative brick program installed in phases at BB&T Ballpark’s main gate. Fans responded by investing in hundreds of bricks that netted more than $75,000 to the coffers of Knights Charities. Knights Charities has already made an impact in the Charlotte community. With help of corporate sponsors, the team has generated more than $70,000. Annual events such as Pink Knights, the Charlotte Knights Golf Classic, and others resulted in more than $35,000. Knights players contributed to the cause with funds raised for runs scored, double plays, and triples. On Thursday, the Baltimore Orioles announced Mark Blackmar as the organization’s winner of the 2014 Elrod Hendricks Award. 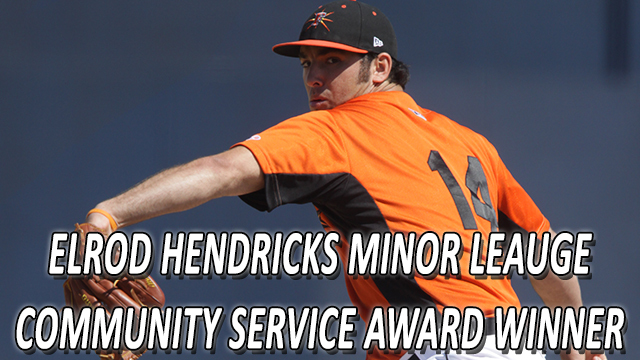 Given out annually since 1992, the award honors one player whose level of community involvement is worthy of special recognition and that truly stands out within the Orioles Minor League Organization. Blackmar will receive the award on Thursday night during a pregame ceremony at Camden Yards. The Myrtle Beach Pelicans, Class A-Advanced affiliate of the Texas Rangers, are pleased to announce that left-hander reliever Cody Ege was named the second-ever recipient of the Bruce Dal Canton Service Award for his efforts in the community this season. He was given the award before the Pelicans regular season finale on Monday at TicketReturn.com Field at Pelicans Ballpark. Catcher Pat Cantwell won the award in 2013. Ege was not alone. The Pelicans players and coaches donated countless man-hours in the community with events like the Home Run for Autism Camp, a day with Grand Strand Miracle Leagues, the 3-Day Youth Clinic, the Sanofi Healthy Living outings to two local YMCAs and the Boys and Girls Club of the Grand Strand, as well as food packing initiatives with the Lowcountry Food Bank and the Help4Kids’ Backpack Buddies program. On a nightly basis, Pelicans players volunteered time before the games to sign autographs to fans behind home plate and caught ceremonial first pitches prior to each Pelicans home game. The Pelicans front office is grateful for all their hard work. 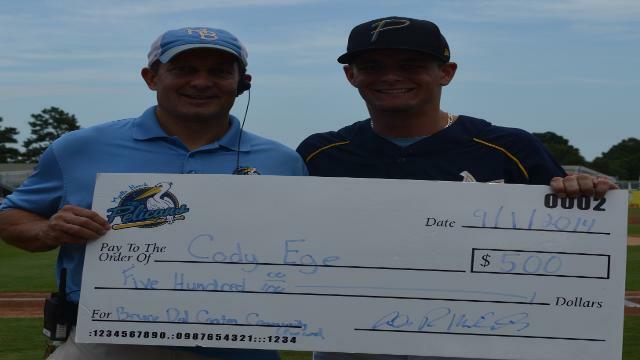 Although Ege’s accomplishment is an individual award, the impact that the 2014 Pelicans achieved in the community mirrored the tremendous success of the group on the diamond.